 Relationships: Father-in-law of Pierre-Antoine Baudouin and Jean-Baptiste Deshays. Boucher's many students included Fragonard, Francois-Hubert Drouais, Hubert Francois Gravelot, Jean-Baptiste Marie Huet, Jacques Charlier, Jean-Baptiste Le Prince and Gabriel Jacques de Saint-Aubin. 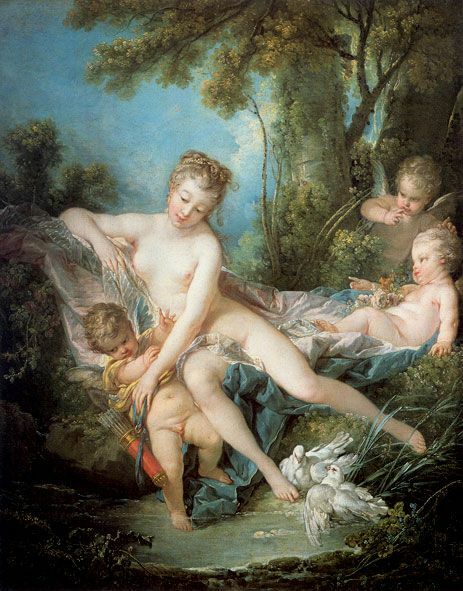 All images and text on this Francois Boucher page are copyright 1999-2015 by John Malyon/Specifica, Inc., unless otherwise noted. Note that the listings on this site are a unique compilation of information and are protected by copyright worldwide.